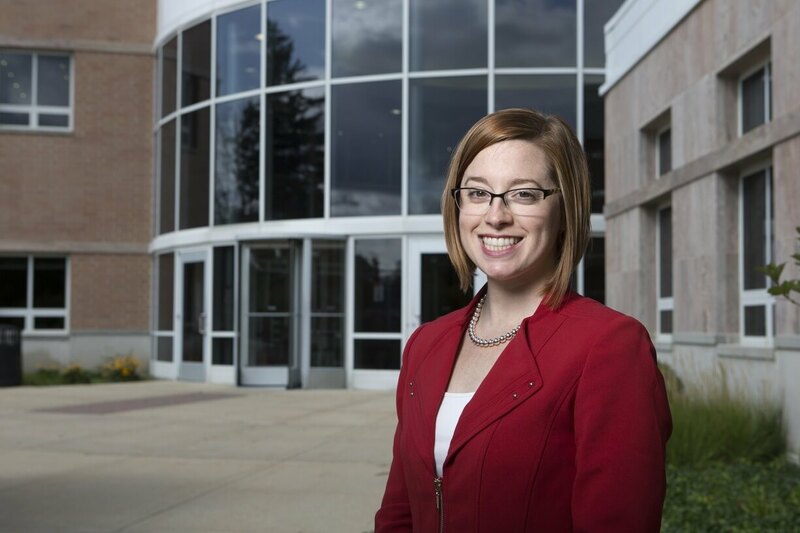 NIU’s Jill Zambito has become the first collegiate representative on the Illinois Commission to End Hunger as the Huskie Food Pantry she oversees for NIU students gains recognition. Zambito, director of Student Involvement and Leadership Development in the Division of Student Affairs, was appointed in April to fill a spot created specifically to address students facing hunger at the collegiate level. Zambito’s department oversees the Huskie Food Pantry, which provides free food to current students without meal plans from 5:30-7:30 p.m. Thursdays in the Chick Evans Field House. The pantry is closed May 17 and 31, June 14 and 28, July 12 and 26, and Aug. 9 and 16 this summer. Through her role with the food pantry, Zambito has worked with Julie Yurko, the president and CEO of Northern Illinois Food Bank, who also serves on the Commission to End Hunger. Yurko suggested Zambito for the opening. Created by state legislation in 2010 and comprising legislators and community leaders, the commission’s goal is to eradicate hunger in Illinois. Members work to develop an action plan every two years, review the progress of the plan, and ensure collaboration among government entities and community partners. The commission is divided into the working groups of No Kid Hungry, Emergency Food System and Benefits Access. “I thought, ‘Wow, what a powerful entity to be a part of,'” Zambito said. Through the food pantry, Zambito said, students regularly are connected to services covered by commissioners, such as the Supplemental Nutrition Assistance Program (SNAP) and Women, Infants and Children (WIC) program. The need for these services on college campuses is growing, she said. In all, the Huskie Food Pantry has distributed 92,966 pounds of food during the 2017-18 school year. In that time, 2,755 students visited, with 768 using the pantry’s services. Unlike some pantries which dictate to clients the amount and type of food they can take, NIU’s pantry allows students to take what they need, Zambito said. It relies on 183 student, faculty and staff volunteers who gave about 1,600 hours of service to the pantry this past year. “We strive to create an environment where students feel safe and confident about their shopping experience, and that is what other schools strive to learn from,” she said.